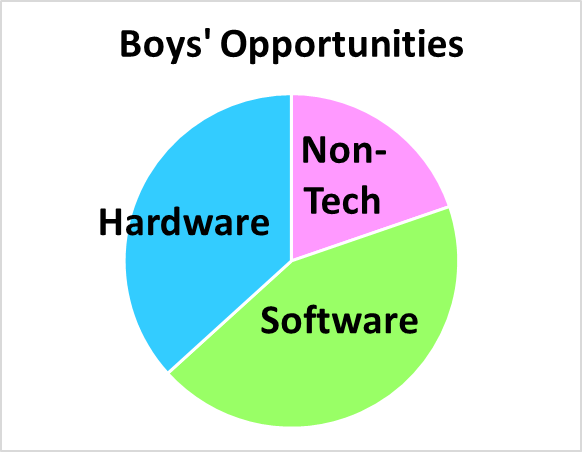 Boys report that they get much more time hands-on building robots than girls do. 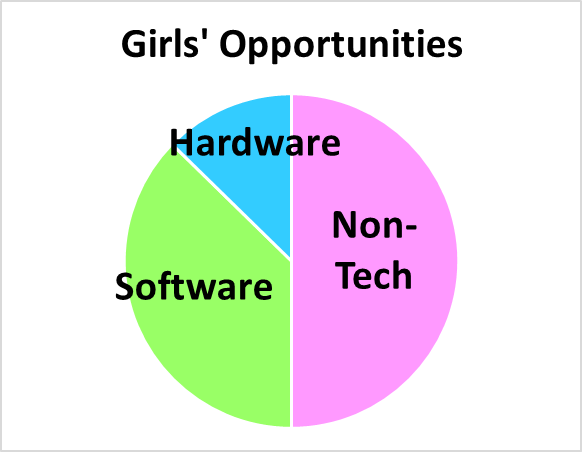 Conversely, girls report that they spend much more time doing tasks like research and poster-making than boys do. 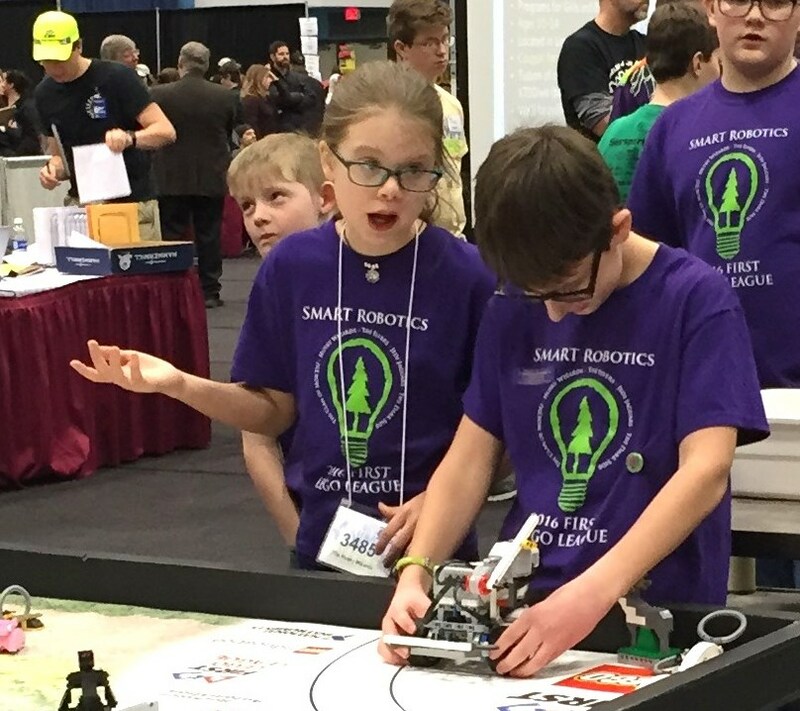 Importantly, this segregation is not due to boys enjoying robot-building more or girls enjoying research more. 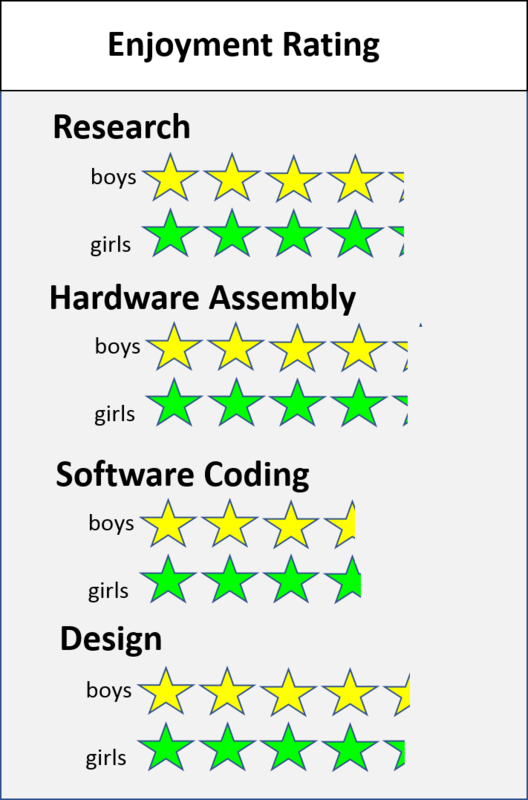 On the contrary, in a separate survey of 50 students who built robots using a Dartmouth-designed curriculum, boys and girls reported almost identical enjoyment of the hardware assembly phase, ranking it a little over four stars out of five. They also reported almost identical enjoyment of the research phase. The Dartmouth report expresses concern that “students can be pigeonholed into certain responsibilities and ultimately not be exposed to all that the program, and STEM itself, have to offer.” They recommend that roles be assigned and that they rotate regularly among members of teams. One girl applying to attend a 1:1 Gizmo Garden robotics program talked about her prior experience of having to elbow her way to getting her hands on a robot and said, "It would be so nice to just have a robot of my own."